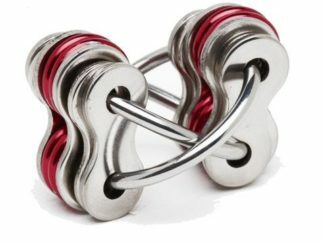 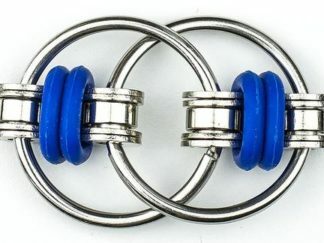 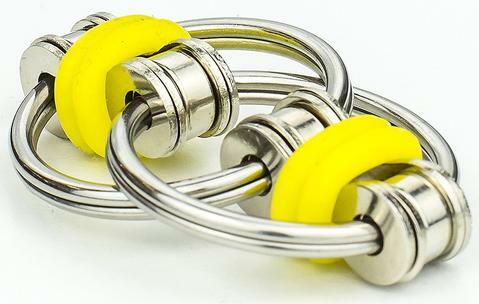 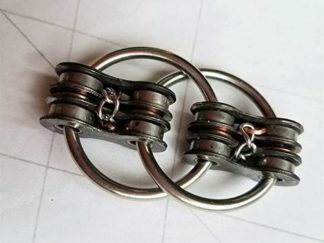 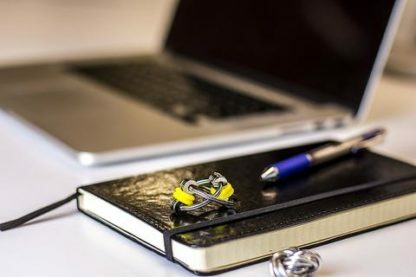 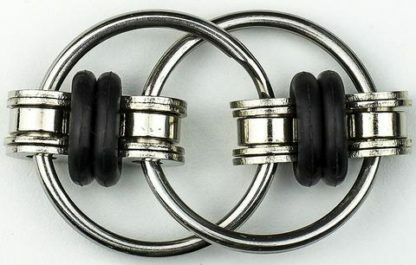 This super quiet stainless steel fidget is made from 2 bike chain links inter-connected by 2 rings. 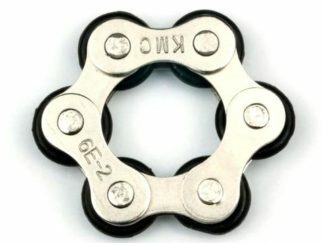 The bike chain links each have 2 silicone rings around them. 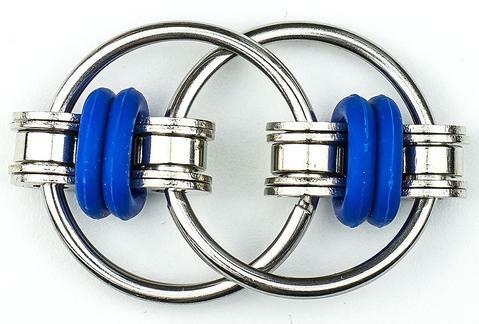 This added tactile touch helps your fingers grip as you flip this fidget end-over-end.